Caroline Oyugi, university lecturer and inspiring philanthropist, took it upon herself to start a pediatric learning center at Kenyatta National Hospital this year. 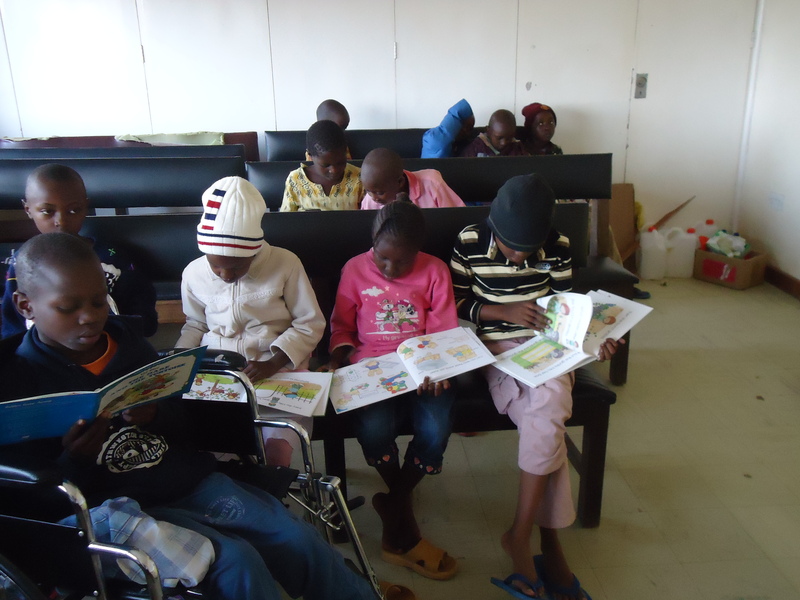 With seed funding from Diamond Trust Bank, hard-earned support from KNH management, and a lot of energy, she put together a team of volunteers, gathered books and learning materials and found a room to convert into a classroom on Ward 3 (where many of the long-term stay kids are staying). 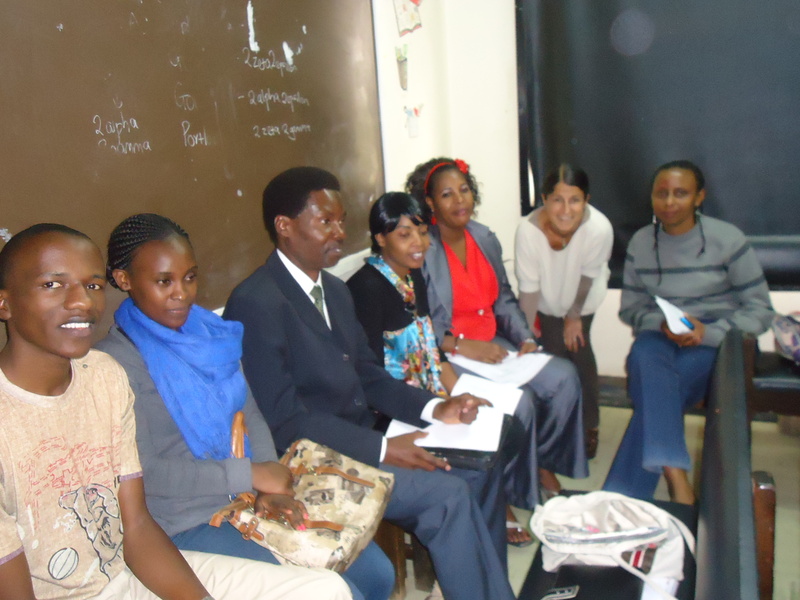 Recently, a group of interested partners within KENCO met with Caroline and helped explore ways to expand the program. 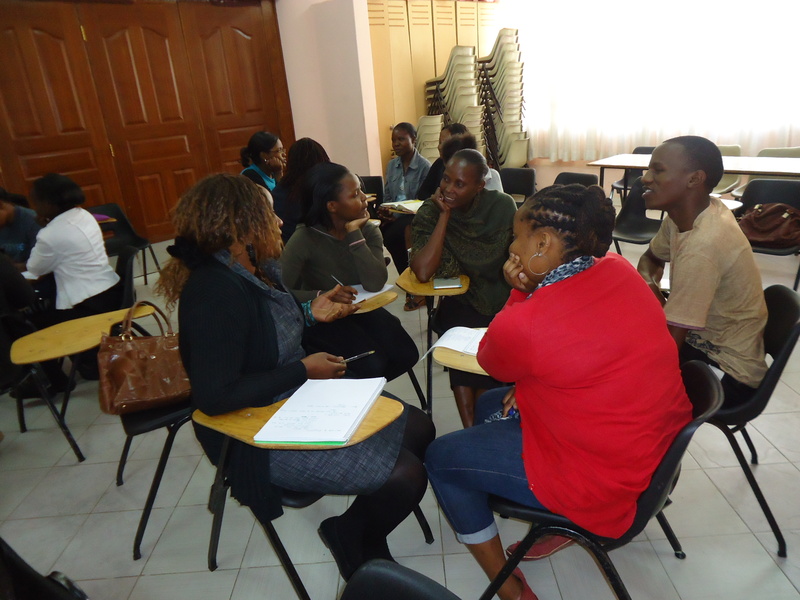 The collaboration led to a three-day workshop to train volunteers and at least eight (8) trainees have signed up to help teach the kids at KNH. Caroline is now looking at incorporating music education, through partnership with a local church group. The Pediatric Learning Center is still in need of materials – books, writing tools, notebooks, computeres, DVDs, white boards, clipboards, art supplies, etc. 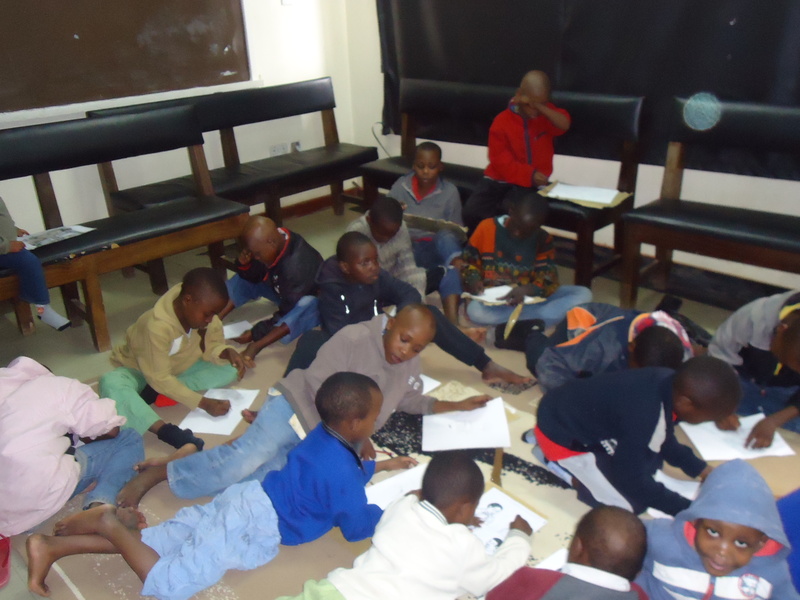 If you would like to contribute to the Pediatric Learning Center, please contact Caroline Oyugi – cynthiacarolis@yahoo.com; 0733 865 215. Click here to read an interesting perspective on controlling non-communicable diseases, including cancer, in sub-saharan Africa – from a World Bank blog by Patricio V. Marquez and Jill Farrington. A young mother of two daughters shares her cancer, kidney failure and financial challenges in fighting the illnesses. 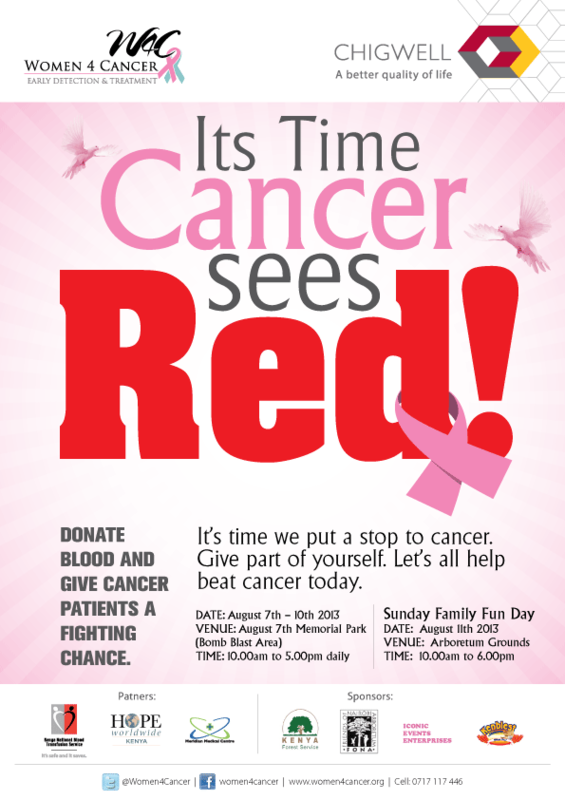 Mary Akai Osige is a 24 year old mother of two girls suffering from colon cancer coupled with kidney problem. She has undergone an operation to create a stoma to facilitate removal of stool from her system. Mrs. Osige is supposed to undergo dialysis at Kenyatta National Hospital (KNH) but this process is pending due to financial challenges. She requires KES. 53 000 each time the medical procedure is performed, yet this is not a onetime procedure. According to doctors at KNH, she is supposed to undergo dialysis before chemotherapy can be administered, which means the longer the dialysis delays; the more she will miss out on chemotherapy and the spread of cancer will continue. “I managed to raise an initial KES. 35 000 with help of our church but when I went for the first dialysis session, doctors told me that I cannot stop at some point once I start. They said I have to ensure there is enough money to carry out the procedure almost weekly till I am in a position to start chemotherapy.” Mrs. Osige narrated. According to Mrs. Osige, her husband has been left with no choice with the little income he gets from distributing products for a wine agency. In the latest visit by Nairobi Hospice, the mother of two said she has had diarrhea for four days in a row. “I am weak and cannot move. I thank God my sister is around as she is the one who helps me to change the colostomy bags and keep me clean besides cooking for my family.” She said. Her condition started in February 2011 when she started feeling weak and frequently visiting the toilet. With time, she developed pain on her lower abdomen which later migrated to the back three months later, a time when I was pregnant. “I went to a nearby clinic and was given drugs for the pain and told stomach pain was common for some expectant women.” Mrs. Osige said. After recording no change, she went to St. Mary’s Hospital where tests revealed that she had colon cancer and needed an operation to create a stoma. “The doctors said the operation could not be performed them as I was pregnant with my second daughter who is now two years old. I had to wait till I gave birth before the operation could be performed.” She narrated. Birth time came in July 2011 and five months later, Mrs. Osige went back to St. Mary’s Hospital for the operation. By the time of going for the operation, Mrs. Osige said that a friend whom she used to share her condition to had informed her of the help she could get from Nairobi Hospice. “The hospice has been helpful especially on the part of pain as the drugs they gave me significantly reduced my suffering.” She said. During the operation in December 2012, the doctors found out that the cancer had spread and referred her to KNH for radiotherapy which doctors told her was not be possible due to issues with her blood. She was advised have her kidneys checked.” She said. Mrs. Osige said her legs could swell at times and a test carried out on February 2013 revealed that she had a problem with her kidneys. “I was given guidelines on the foods to eat and told to look for money for dialysis to which my people could not help much. Only my husband struggled to get KES. 35 000,” she said. Though the operation was successful to enable her pass out stool, she is faced with the challenge of finding money for dialysis to enable her proceed with chemotherapy. 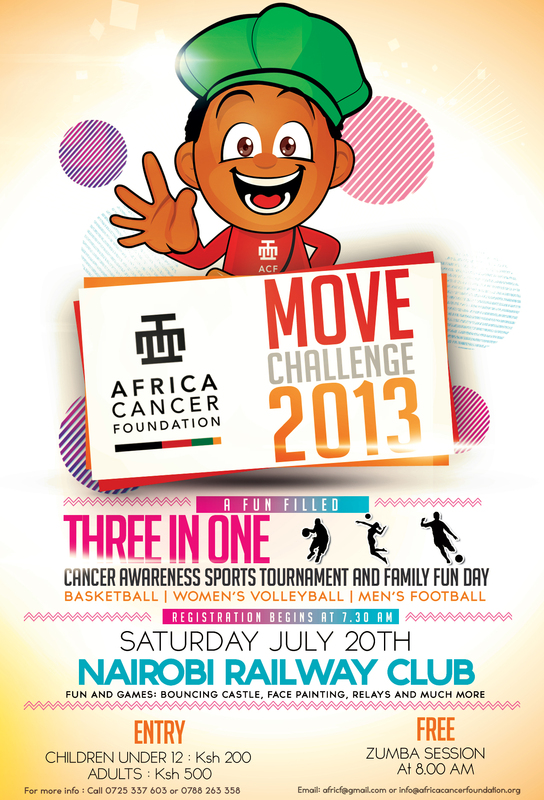 “Due to weakness, I used to send my mother to KNH Palliative Care Unit for colostomy bags. I can stay without food for two days for lack of appetite.” She said. Nairobi Hospice social worker M/s. Lynette Kitui said all they are doing is manage her condition with hope that a well wisher could come up to foot the bill for the dialysis and chemotherapy. “Her stoma requires bigger size colostomy bags which are rarely available but whenever the unit at KNH has some, she tries to get some.” M/s. Kitui said. Nairobi Hospice Nursing Offer M/s. Joyce Njuguna said that with the disease progression, Mrs. Osige’s neuropathic veins are affected which could lead to swelling of the legs. She said her condition requires frequent medical checkups which is not possible following her financial challenges. Mrs. Osige has spent over four months in the house and all she can do is depend on is her sister to support her family with house chores and helping her clean up as she has no energy to move even outside the house where the illness has imprisoned her. She now uses some local medicine to try and clean her blood as she awaits help, whose origin she doesn’t know. Any support for Mrs. Osige from well-wishers can reach her on +254712287279, her husband Justus Mutahi on +254723533469 or Lynette Kitui on +254722266613.